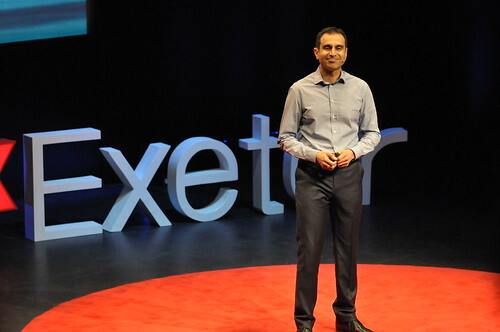 At the end of November, TEDxExeter 2012 alumnus Bandi Mbubi returned to Exeter to give another talk on “Conflict-free Congo – the paradox of our new technologies”. 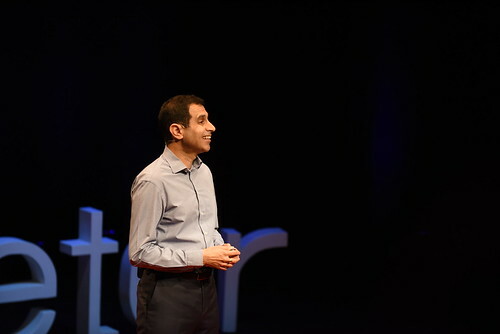 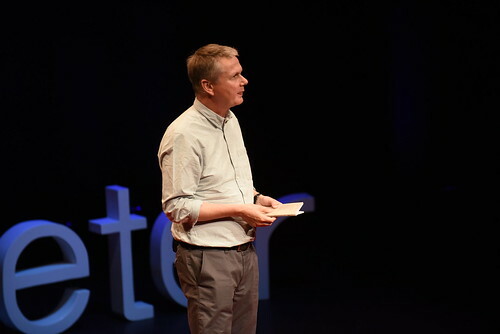 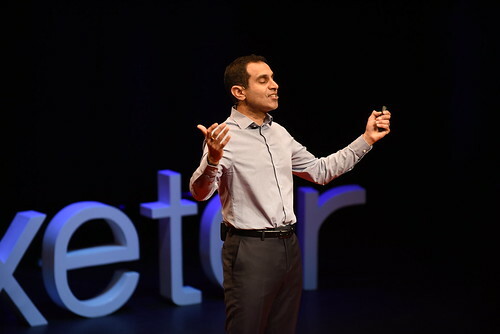 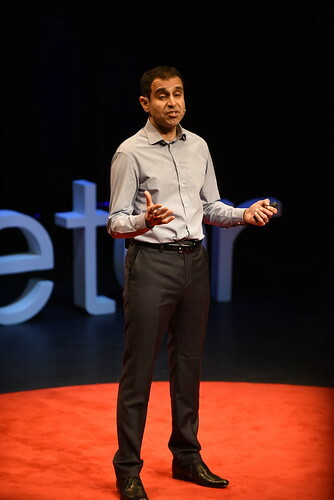 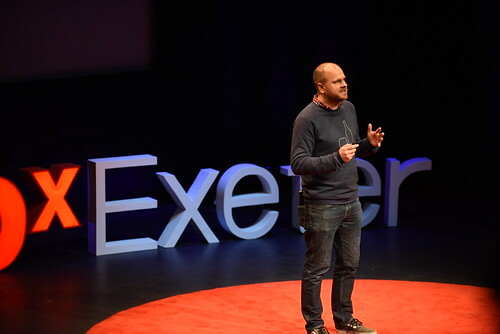 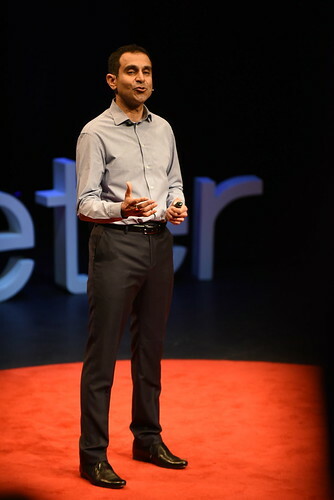 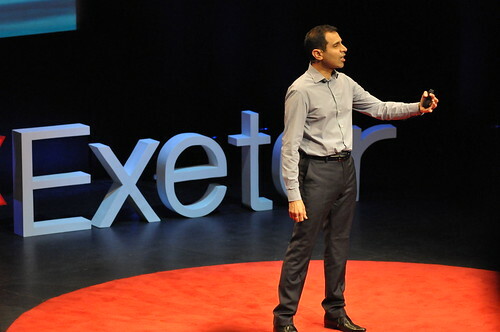 He spoke in more depth about fairtrade mobile phones, the situation in the DR Congo, and the strides being taken by Congo Calling – the campaign calling for fairtrade mobiles set up following Bandi’s TEDxExeter talk. 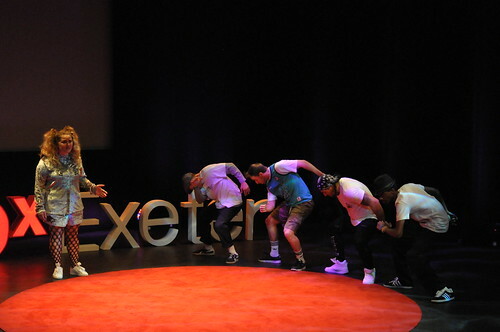 Afterwards, Andy Robertson interviewed him about fairtrade videogame consoles. 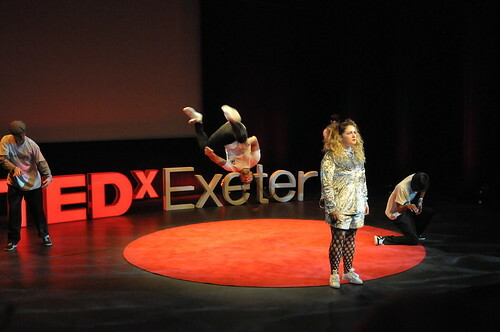 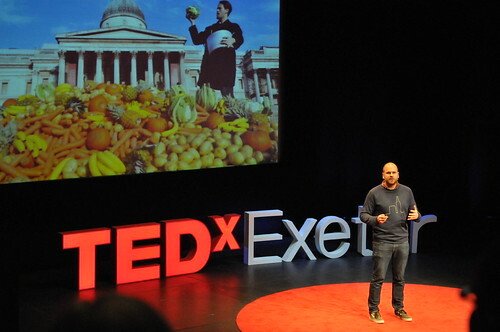 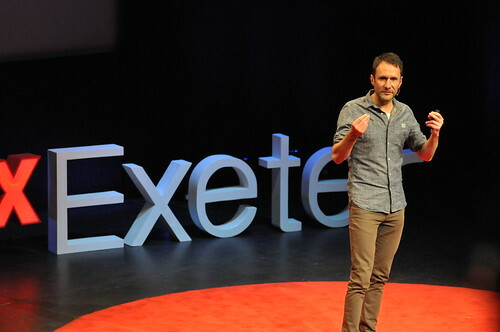 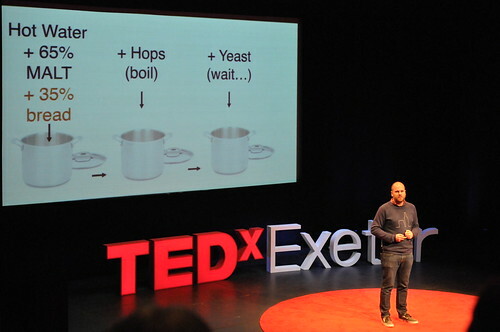 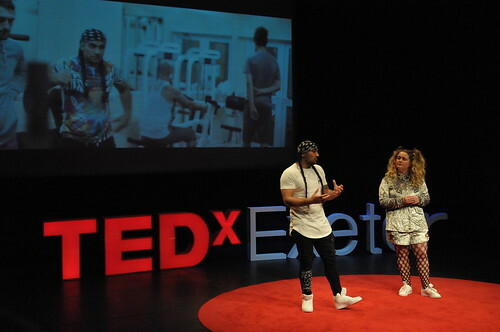 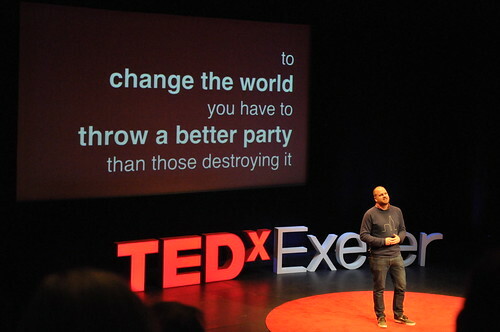 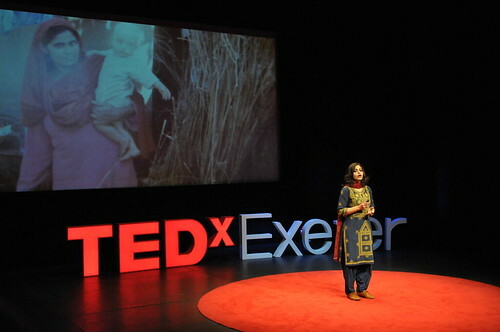 Andy was also a speaker at TEDxExeter 2012, about sustainable video games. 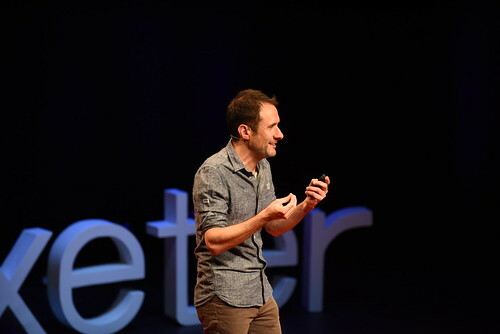 TEDx speakers have to agree to attend the whole of the day, so Andy was there to hear Bandi’s talk, which encouraged him to think more about ethical gadgets. 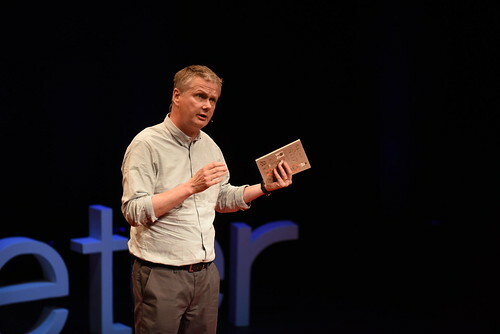 In particular, Andy was impressed by Bandi’s “insistence and hope that it would be the very technology that was causing the problem that would also be its solution.” We hope you will enjoy their conversation. 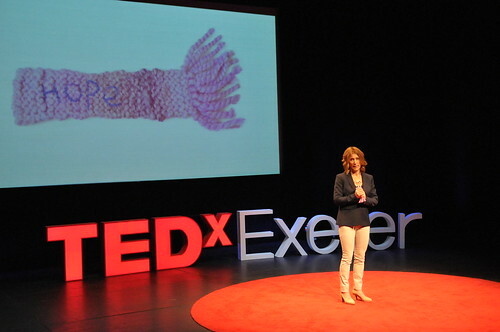 Living the Questions: Who am I?